"Nobody wants to be involved in an accident. But if you are, you need to know you can trust the people who are going to repair your vehicle." We recognize that your automobile is one of your most important possessions. That’s why our facility has been awarded the prestigious I-CAR Gold Class designation. This means that our technical and administrative staff has undergone extensive training in the industry’s most rigorous educational programs to ensure that only the most advanced techniques are used to return your car to its pre-accident condition. 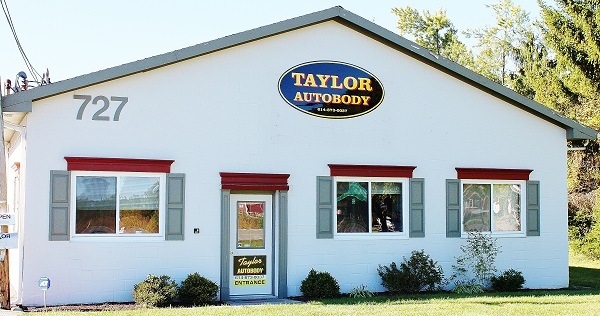 You can also take comfort that Taylor Autobody offers the best warranties in the collision repair business, guaranteeing our work for the life of your ownership of your vehicle. Just one view of our Garmat Spray Paint Booth. We can paint your vehicle the color you've always dreamed of! Just a few of our paint sprayers. Looking for paint color? Check out all of the color key cards we have to match your current color or help you pick your new color. Send us a picture and description of the damage to your vehicle for a quick quote. Our professional, certified staff can get you back on the road with our collision repairs. Get your vehicle restored to a like-new condition. Refinishing services for both motorcycles and golf carts.